Six weeks, three major mechanicals on three different bikes. Ouch. Starting to wonder if my luck is that bad, I ride that hard, or I just ride so much, this is normal. Either way, starting to feel a little down on my luck. Hmmm … can anyone see what is slightly off with this photo? Yes, I know I probably ride my commuter bike a little too much like I ride my mountain bike – forgetting it doesn’t have suspension or a frame and wheel set designed to take hits. I do frequently forget that in addition to the bike and pedal-assist rear hub being a little heavier than usual, I’m also typically carrying at least 10 extra pounds of weight in my pannier bags. 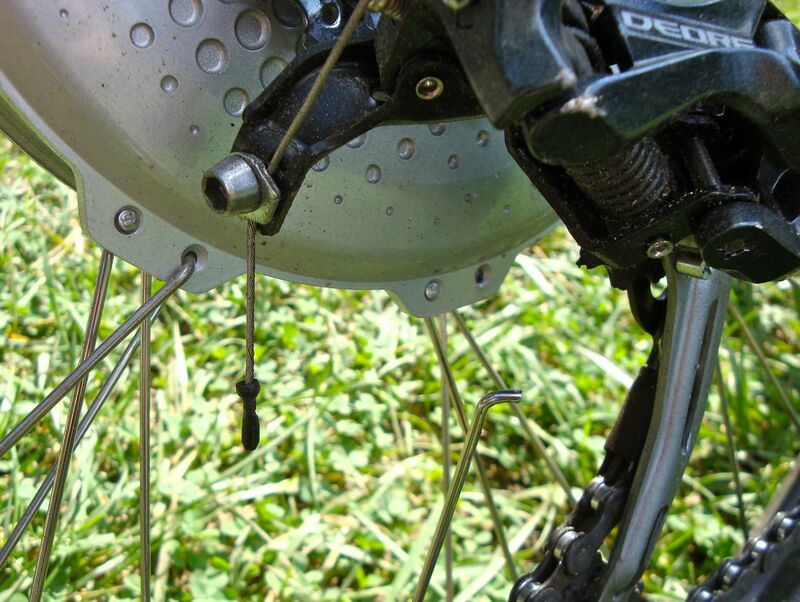 Ouch … spokes aren’t supposed to do that – but an easy fix hopefully! Hopefully an easy fix – my bike now has a date with the mechanics at The Bike Lane 🙂 And in the meantime – well, I’ll try not to break any more bikes, but I’m not going to stop riding by any means! Be sure to have them check out the rear axel at the shop. I ride a heavy commuter, with gear and stuff, and I’d been riding on a broken axel for a few weeks… yikes! I was surprised earlier this summer at the damage I took when I made a long ride (89 miles). I broke a spoke, lost a cog on my back gears and bent the rear derailer. I’m not even sure how I limped into my final destination, but I did. I think the problems each compounded each other, so the advice above about checking the axle is doubly good.